Home Posts Tagged "Skin Rejuvenation"
Sun damage, sagging and uneven skin tone: three common problems for skin that are difficult to treat with any lotion or cream. Even drinking 5 liters of water daily, moisturizing and using SPF ointments are not enough to prevent wrinkles and sags, the rough texture due to sun damage and scars or blemished complexion. These effects can be stabilized with skin rejuvenation procedures which provide balanced solution to bring out rejuvenated and healthier skin. Skin tightening treatments use alternating pulses of infrared heat and radio frequency to deep-heat tissue, enhance collagen to tighten and lift the skin surface. There is a laser skin resurfacing, in which a strong specially filtered laser is used that penetrates beneath the skin and triggers a healing response in the lower layers of the skin. The developing skin naturally heals and reduces visible scarring and skin damage. This is another area of skin rejuvenation that reduces appearance of wrinkles and sagging by improving collagen production and using heat to cause skin to contract and look tighter. RF and infrared light penetrates and heats skin tissues. The increased heat energy means better healing response. The deep-tissue heat also improves collagen production, which firms sagging skin and fills in wrinkles naturally. This type of skin rejuvenation provides long-term benefits for firming wrinkles and sagging skin, with effecting lasting as long as 2 years before requiring maintenance. For more serious skin damage, the problem is texture, so the roughness of scare or the leathery look of sun damage needs a special treatment. An advanced method of skin rejuvenation gives a non-chemical way to smoothen and soften skin texture. Laser skin resurfacing is an effective treatment for skin damage. In laser skin resurfacing, a specialized laser penetrates deep into the tissue and hits the skin, which indicates the tissue to heal itself, which repairs existing damage both on the surface as well as beneath the skin. 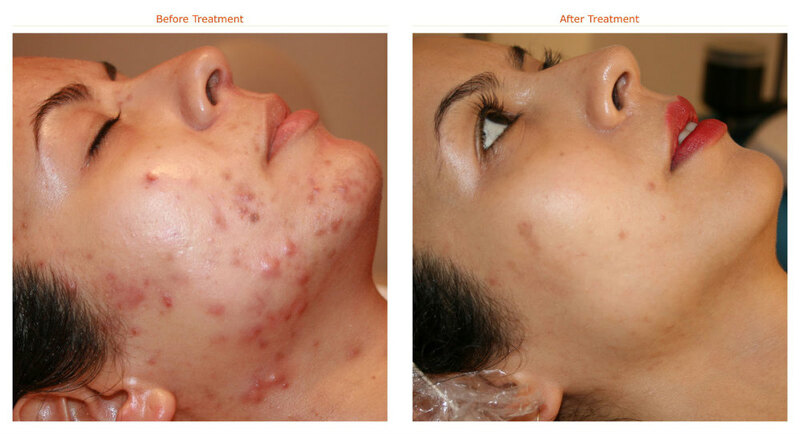 The laser is as effective as a chemical peel, and at full impact could cause same blistering. A cap on the instrument filters the laser as a result only tiny spots of skin are exposed to the laser. Only the affected area is treated and the surrounding skin remains untouched. This makes the healing process faster with almost no after effects and side effects. You will only notice some redness and tenderness afterwards. The results can last two years. 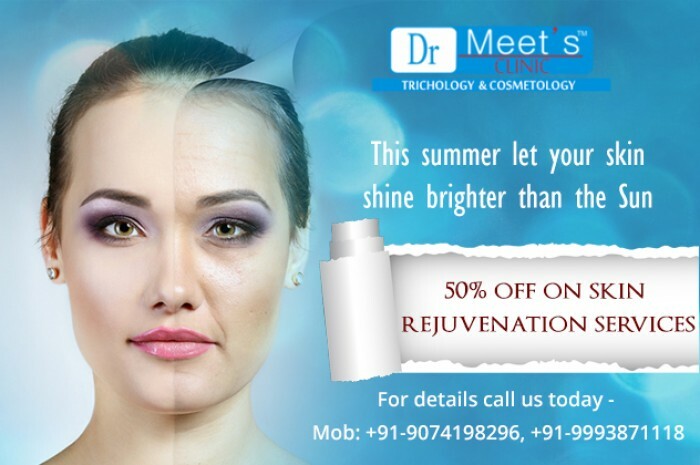 For skin rejuvenation in Indore, feel free to contact Dr. Meet’s Clinic. We are a trusted clinic for skin rejuvenation treatments and provide treatments at very cost-effective and pocket-friendly rates.